This specialized microbrewery style beer with flavors for What’s Your Sign? Brewery. Each combination of brews is crafted to create unique flavor palates and combinations. 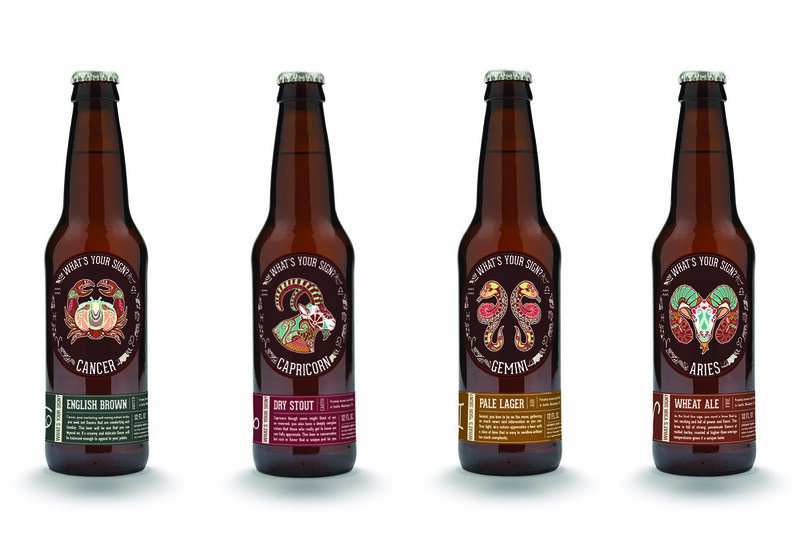 Each beer is named after one of the distinct zodiac signs matching the taste and attitude of the beer. Each brew is released seasonally, based on the time that passes for each zodiac sign to have their birthdays. This allows the audience to connect with each different flavor based on who they are or who they know based on their sign.